Transform your cleansing routine with this rich, comforting clay-to-cream cleanser. A blend of antioxidant-rich Matcha Green Tea and good-for-you Probiotics restores balance and soothes redness-prone skin. This transformative cleanser will leave your skin feeling luxuriously pure, soft, and supple. SheaMoisture is the best brand out there. The Matcha Green Tea & Probiotics Transforming Clay-to-Cream Cleanser is awesome! I have sensitive skin and am cautious about what goes on my face. After checking the ingredients I gave this a try. It felt great and applied easily. After risking my skin felt clean and refreshed. I found the SheaMoisture Matcha Green Tea & Probiotics Transforming Clay-to-Cream Cleanser to be so refreshing! The scent is so nice, and I love that it's made up of ingredients that are good for my skin. The sample I received was a small packet, but I will definitely be looking for a bigger size in the future. This cleanser left my face feeling clean and hydrated. It didnt leave a sticky residue and left my skin feeling soft. I got to try Sheamoisture Matcha Green Tea&Probiotics Transforming Clay To Cream Cleanser for free from Pinchme for giving my honest opinion about it.I thought it worked great,and it made my face look good,and feel good.My face felt very clean,and refreshed after using it.I recommend it. I received a free sample of SheaMoisture Matcha Green Tea & Probiotics Transforming Clay-to-Cream Cleanser from PinchMe in return for honest feedback. This product made my skin feel nice and clean without drying it out and it smells really nice. It made my skin feel so soft. It got deep I. My pores and the green tea smoothed my skin like no other. I really was impressed by the SheaMoisture Matcha Green Tea and Probiotic Cleanser. I liked how it cleansed my skin and how my skin felt after: smooth, fresh and not dry. Matcha Tea and Probiotics are healthful for your insides and will be healthy for your skin too. Loving my skin after trying SheaMoisture Matcha Green Tea and Probiotics. It feels softer to the touch and more firm. Also, the smell is nice and light. Very pleasant. SheaMoisture Matcha Green Tea & Probiotics Transforming Clay-to-Cream Cleanser smells great, works great and is easy to use! 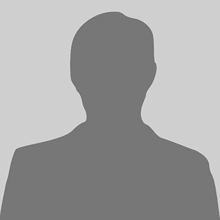 I received this product as a free sample from PINCHme. I got to try SheaMoisture Matcha Green Tea & Probiotics Transforming Clay-To-Cream Cleanser Free From PinchMe,with was great to try befor I buy,because my skin is very sensitive and I have eczema on my face ,so I cant use alot of things on my face,and this dident work well on my skin, but I appreciate that I got to try it. I got to use the SheaMoisture Matcha Green Tea Clay to Cream Cleanser through a sample on PinchMe. I thought the sample had just enough product to cover my face area. It went on smoothly and had a pleasant smell to it. I liked how my skin felt afterward as well. It was soft and supple. I am loving using the Clay to Cream Cleanser. My skin felt tighter. Felt CLEAN. Smelled amazing. SheaMoisture Matcha Green Tea and Probiotica Transforming Clay to Cream Cleanser is sooo amazing! I got the one that targets red skin and wow it made my skin feel amazing. I dont think it did anything about the redness but it made my skin feel great! Probably a great product but I have no need for it. This stuff made my face feel great, felt clean and smooth after just one use, can'y wait to buy the full size. 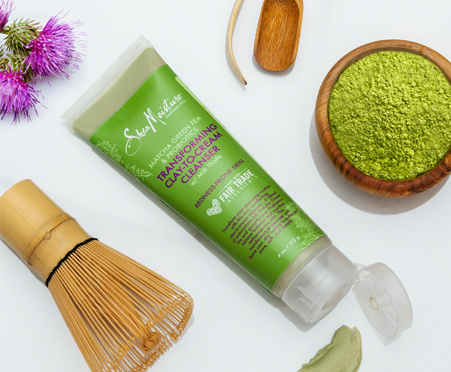 I love SheaMoisture before I tried this product so I knew I would love Matcha Green Tea & Probiotics Transforming Clay-to-Cream Cleanser. This cleaner is extremely calming. The aroma was so pleasant. I love that it is rich in antioxidants. That is really important to me. My skin is very sensitive so I am always a little scared at first to try a new cleaner. But, rest assured this product made my skin feel clean and my face smile. I always has a problem to wash away clay mask. With this cleanser you clean your face easy and fast! I liked how clean my face felt after using this product! SheaMoisture matcha green tea & probiotics transforming fly to cream cleaner works! I was not sure what to expect at first. I do like to try and find something to keep my face fresh and bright. This goes on thick but washes off easily. Most of my friends are all looking for a product that does more than 1. I told them about this and they all had willingness to try! This product left my body feeling clean, smooth and refreshed.